Good nutrition and eating well are an important part of public health and can help stave off a number of age-related illnesses. Over the last twenty years, Bournemouth University’s Professor Heather Hartwell has been carrying out research into nutrition in the context of developing large-scale interventions to improve public health. Her work has taken her from prisons to hospitals to workplace canteens. When Professor Hartwell began her research career in nutrition, much of the health policy focus was on one-to-one support for people who were struggling with associated health conditions. The idea that large scale interventions might be successful was only beginning to be recognised. 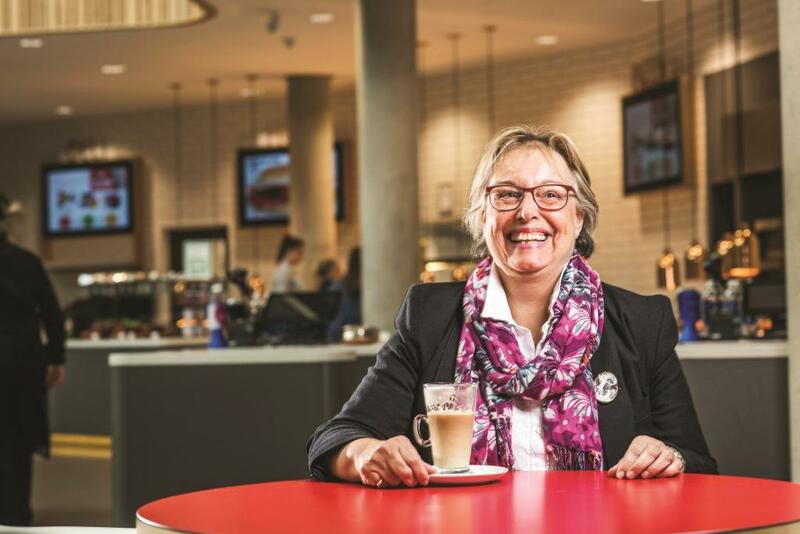 Working in public sector settings and seeing the difference that larger scale interventions could make on people’s health then led Professor Hartwell to consider the difference that healthier eating options could make in workplace canteen environments. Over the last few years, Professor Hartwell has been working on a major European grant, FoodSMART, which has been addressing exactly that issue. The grant enabled Professor Hartwell and her team to develop an App, which uses data provided by catering companies to help consumers to make more informed choices about their meals. Alongside FoodSMART, Professor Hartwell and her team were also leading on another European grant, which was looking at increasing our protein intake through vegetables. In the context of an increasing global population, it is important for the agricultural and catering sectors to consider more sustainable sources of food. Partly inspired by the issues of sustainability raised in this project, Professor Hartwell and her team have recently started working on a new research grant with partners in Brazil to consider how to improve our long term food security.